Netball Scotland is fully committed to safeguarding the welfare of all children in its care. We recognise the responsibility to promote safe practice and to protect children from harm, abuse and exploitation. Netball Scotland is working in conjunction with each of the organisations above, as well as in partnership with sportscotland to protect our children. Click on each of the logos above to be connected to their websites. Netball Scotland believes that all members, clubs and associations have a responsibility to help protect young people and incorporate good practice as an essential element to ensure this happens. We hope that the information and documents found in this section will assist you as we all work together toward a safer environment for the future of netball. Should you require any further information or wish to discuss any of the information outlined, please contact Netball Scotland via 0141 428 3460. Netball Scotland, working in partnership with sportscotland and Children 1st, continually strives to ensure that all children, young people and vulnerable adults in our sport feel safe and are protected from harm, abuse and exploitation. 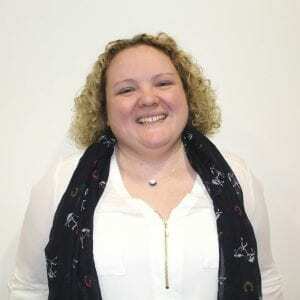 As we work towards 100% compliance in the Standards for Wellbeing & Protection in Sport, we are delighted to announce the appointment of Lindsey Booth as Netball Scotland’s Wellbeing & Protection Officer. Lindsey brings a wealth of knowledge and industry leading expertise to the team and will be the point of contact for all Wellbeing & Protection cases and queries. Lindsey will also lead on Wellbeing & Protection education and training for Netball Scotland Board, staff and members and, over the coming months, will update all wellbeing & protection policies to ensure that they are robust and fit for purpose. We are also delighted to announce the launch of our newly formed Wellbeing & Protection Panel, chaired by former Netball Scotland Chair Freda Hutchison MBE, who will support Lindsey and Netball Scotland in this area of work. The Panel brings a wealth of experience to the governing body and will assist Lindsey in ensuring our policies are compliant with current legislation, whilst also reviewing wellbeing & protection cases and supporting on-going investigations. Geraldine McGuire, Head of Development, said “Launching the Panel demonstrates our commitment to ensuring that all those who engage in our sport feel safe and protected. 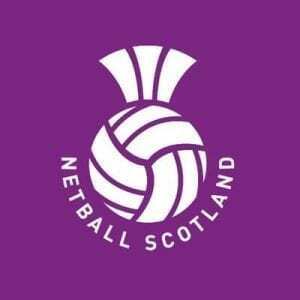 Bringing together an independent panel of highly experienced professionals has allowed us to create an expert resource to support this area of the business which is of high importance to all of us at Netball Scotland. Recognising the positive influence sport can have on all those who take part, it is vital that we ensure that all activity is led by people who place the welfare of our members at the forefront. We want our sport to be one of the safest in Scotland, and for all of our members to be able to flourish and thrive in a safe and supportive environment”. Click HERE to meet the Wellbeing & Protection Panel. Through their partnership with Children 1st, sportscotland host a variety of Safeguarding Training opportunities (Including Safeguarding and Protecting Children & In Safe Hands courses (For Child Protection Officers) throughout the year. Please visit their website – Safeguarding Training – for the full listing. Please also visit Children 1st for more information on training. Netball Scotland is fully committed to safeguarding the welfare of all children in its care. Recognising the responsibility to promote safe practice and to protect children from harm, abuse and exploitation, Netball Scotland works in partnership with Volunteer Scotland, Children 1st, and sportscotland to protect all children participating in its affiliated clubs. Through the support of our Regional Development Manager network, our members are provided with guidance and support to ensure all clubs working with children have robust policies and procedures in place to allow children to enjoy netball in a safe environment. Sport can and does have a very powerful and positive influence on children and young people however in light of recent media coverage of allegations of child abuse in football, parents and carers from across all sports may have increased anxiety about child protection. The vast majority of adults involved in youth sport are there with good intentions and are keen to promote the wellbeing and protection of children and young people. Coaches may often be the people who identify and act on concerns about a child’s wellbeing. To-date much of the media’s attention has centred around historic allegations. Most sports organisations now have far more robust child protection procedures in place, including systems by which they recruit coaches and volunteers. However, we would encourage all parents and carers to familiarise themselves with the child protection processes in place in the clubs their children attend. 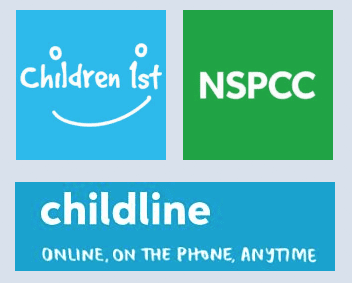 Does your club have a named contact for the co-ordination of child protection, with a role description, who has attended recommended training? Does the club have a Child Protection Policy which reflects national guidelines, adopted by the Board / Executive / Management Committee? Does the club have a Code of Conduct for working with children and young people? Does the club offer a variety of child protection training at appropriate levels for those working or volunteering with children and young people in sport? Does the club have a procedure for the recruitment and selection of those who work with children and young people, including access to PVG Scheme Membership checks? Does the club have a procedure for responding to concerns about the welfare or abuse of a child- within or out with sport? Is the club affiliated to a national governing body? Does this governing body have a Lead Child Protection Officer? If parents or carers have a child protection concern about a coach / volunteer who is currently practicing or a concern about a child’s immediate safety, then they should contact the club child protection officer and share their concerns with Police Scotland on 101. Members, as you will be aware, Netball Scotland is fully committed to safeguarding the welfare of all children in our care. Recognising the responsibility to promote safe practice and to protect children from harm, abuse and exploitation, Netball Scotland works in partnership with Children 1st and sportscotland to protect all children participating in our affiliated clubs. Through the support of our Regional Development Manager network, our members are provided with guidance and support to ensure all clubs working with children have robust policies and procedures in place to allow children to enjoy netball in a safe environment. Many of you will remember the historic allegations of child abuse within Scottish sport which hit the media headlines last year. Thankfully, our sport has a long history of being a safe place for children to grow and develop their love of netball, and we remain committed to ensuring that this continues. Therefore, it is critical that we remain vigilant and that every Club and individual involved in netball works together to protect all children placed in their care. To do this, it is imperative that all changes to coaching and management personnel carrying out regulated work within clubs are communicated immediately to Netball Scotland and that appropriate PVG checks are carried out as soon as possible, and before they become active. Please remember that although many individuals may be in possession of a PVG related to their field of employment or other voluntary work, they MUST still apply for a PVG Scheme Update for their role within your club. DON’T DELAY, ACT TODAY! As a membership benefit, Netball Scotland provides the expertise and resources to assist you with this process. Please utilise the information above and exercise this benefit to ensure your club is a positive and protected club.